The hotel is equipped with new, clean air technology which promises its guests the cleanest air in the city on par with global standards. Lutyens’ Delhi’s 52-year-old luxury hotel, The Oberoi, is ready to welcome guests with a promise of ‘the cleanest air in the city’ after a full renovation lasted seven quarters. The company has started taking bookings for stays from January 1. The hotel, however, will welcome fewer guests than before as the number of rooms is down to around 220 from 283. 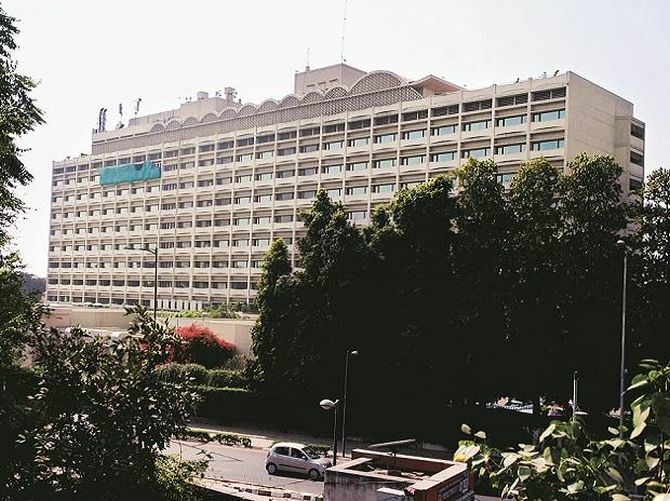 BSE-listed EIH, which owns and operates the Oberoi chain of luxury hotels, is estimated to have spent approximately Rs 600 crore on the massive renovation. The company had originally envisaged an opening date of April 1, but managed to complete the work three months earlier. The property is critical to the company’s revenue and profits. It contributed Rs 187 crore or 14 per cent of EIH’s annual revenue of Rs 1,341 crore in FY15. The company did not respond to queries. The tariff (excluding taxes) begins at Rs 18,000 per night and goes up to Rs 26,000 for premium plus room. The suite begins at Rs 35,000 per night with a 1,400 sq ft deluxe suite priced at Rs 150,000. The luxury suite spread over 1,800 sq ft costs Rs 200,000 a night, while the 3,600 sq ft Kohinoor Presidential suite comes at Rs 900,000 per night. An executive at Yatra said the online booking agency had started seeing some demand for Oberoi Delhi. The rooms and suites, which are now bigger, sport large picture windows that frame unmatched views of the Delhi Golf Course on one side and the historical Humayun's Tomb on the other, the company said on its website. "The interiors of the hotel have been designed in a contemporary interpretation of Sir Edwin Lutyens' New Delhi architecture," it said. The website also said the hotel is equipped with new, clean air technology which promises its guests the cleanest air in the city on par with global standards. All rooms have teakwood floors, luxury Italian marble bathrooms and so on. A butler service and in room dining would be available 24 hours a day. A ball room with a capacity to accommodate up to 300 guests can be used for conferences along with three banquet venues. The property would have a temperature-controlled indoor and outdoor swimming pool, a spa and a 24-hour fitness centre. It will have a rooftop bar, a Chinese restaurant and a contemporary Indian restaurant among other places to dine. The lobby level would have a Club Bar to serve a wide range of premium international alcoholic beverages and a new Cigar Lounge would offer guests the finest selection of cigars. The Oberoi was the first hotel to be built by M S Oberoi, founder of The Oberoi Group. Founded in 1934, The Oberoi Group operates 32 hotels under the Oberoi and Trident brands and has a presence in six countries. It is also engaged in flight catering, airport restaurants, travel and tour services, car rentals, project management and corporate air charters. In 2010, Mukesh Ambani's Reliance Industrial Investments and Holdings became an investor in EIH and it currently holds an 18.53 per cent stake with two board-level representatives, Nita Ambani and Manoj Modi. Ambani spent Rs 1,213 crore to acquire the stake between 2010 and 2012. Tobacco-to-hotels major ITC, which has been buying EIH shares since 2000, has a 14.98 per cent stake in the company. The promoters of EIH, the Oberoi family, hold a 35.25 per cent stake in the company. Can 5 star hotels charge Rs 8 for a 3 minute call?